When the opportunity came up for me to head to Panama and learn some Spanish, I definitely jumped at it even if it was a bit of a detour from my original plan to explore South America. After 3 months in these parts and 3 weeks of Spanish lessons, ¿puedo hablo espanol ahora? (can I speak Spanish now? At least that’s my best translation haha). Here’s more about my experience learning Spanish and a bit of a review of studying with Habla Ya Spanish Schools. 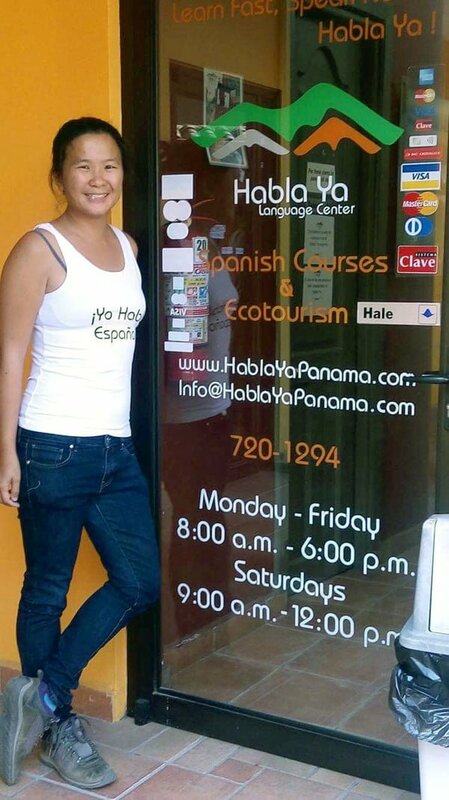 I wanted to study Spanish, but I didn’t want to be stuck in one place for too long, so Habla Ya with its 3 different campuses in Panama was a great option for me because I got to see 3 very different sides of Panama while going to class. I decided to spend a week in each campus – a total of 3 weeks of lessons from Monday to Friday. Each location has its charms, so the different schools had quite different student profiles as well. Next I headed nearby to tiny Boquete up in the mountains of Chiriqui on the western end of Panama favoured by both adventurers and retirees. The student profile here tends to be much older and not as social compared to the other 2 schools. The vibe of Boquete is also very much more sedentary and quiet. Read about my time in Boquete in this article that was also published in Singapore’s Today Newspaper. And finally I finished up back in the bright lights of the capital and cosmopolitan Panama City. Panama City saw more variety and mix all around when it came to nationalities and ages of students, and had more students or expats who were looking to live and work in the country versus tourists. For those who like variety like I do, being able to hop around the different campuses seamlessly is definitely an ideal option. There’s a certain structure to the lesson curriculum so you won’t miss out on levels even if you move between campuses. It’s not always perfect of course – sometimes my classes in the different campuses were faster or slower so I repeated lessons at certain points, but it’s one way to ensure certain consistency across the campuses. Classes usually took around 5 hours with a 20min break in between. I took small group lessons where they placed me with a maximum of 5 other students of similar level in my class – you do a few written and oral tests right at the beginning for them to decide which class to put you in. I started at Level A1 Week 2 as they decided I had enough vocabulary to not start from scratch. Day 1 was definitely super challenging for me as I was coming in cold while my other classmates already had a week’s base to start from, but I think it worked out alright, if not I would have requested to shift to the Week 1 class. My class in Bocas. There were 5 of us and our (tiny) teacher P. Coincidentally, her partner taught my class when I was in Panama City! I liked group lessons because you can learn from interacting and listening to your classmates, and it makes lessons more fun with other people to talk to and practice with. In Boquete however, there were no other students at my same level so my group class was like a private class with just me. With one-on-one attention, I spent a lot of time talking, which definitely helped in my confidence, and my teacher was able to focus the class on addressing my specific issues. Other students I knew did a combination of group and individual lessons – you just needed to work out with the school beforehand how exactly you wanted to make use of your total course hours. Moving across campuses also meant I had a wide variety of teachers and teaching styles, which can help or hinder your progress depending on how you learn. For example, some teachers were strictly Spanish only, others were happy to explain things in English if necessary. Different teachers helped me figure out what worked better for me – I do like being forced to speak and think in Spanish more, but sometimes I really need some English instructions to figure out what to do for assignments. I enjoyed some of the non academic bits of lessons too – my teacher G in Panama City loved playing Spanish charades which was an exercise in vocabulary, while in Boquete, Friday afternoons are free and easy and my teacher T took me out to the market to get ingredients for a snack of Pollo Ceviche. There are usually 2 class sessions at each school: morning and afternoon sessions. 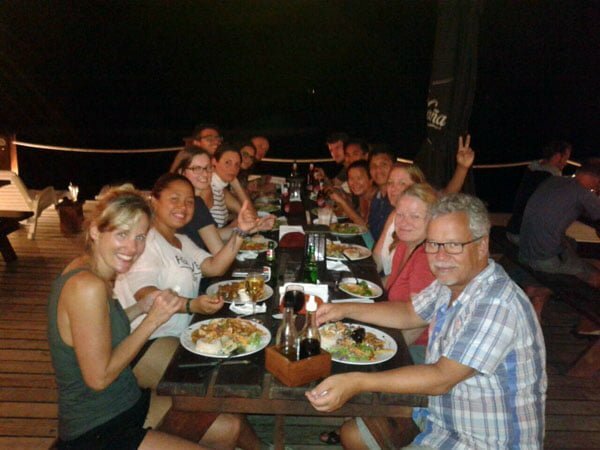 In Boquete and Panama City, group classes only take place in the afternoons which can be a bit of a pain when planning activities as you either need to do short morning activities or leave the full-day stuff till the weekends. Habla Ya organises activities for its students on a daily basis that range from shared meals, to cooking, salsa classes and even day tours. There’s usually a big sign up board where you can indicate your interest, which I thought was a great idea but would have benefited from being a little more organised. Some of the activities involved agencies and payment which were organised by the school, while others were meant to be student organised, which is a bit tough because not everyone knew everyone else. It was a great way to interact with students and professors from other classes though! It also depended on the school – it didn’t seem like anyone was using the board in Boquete, but the ones in Bocas and Panama City were a lot more active. In fact, they were testing out using a whatsapp group for shared communication, so they are definitely working on improving community engagement. 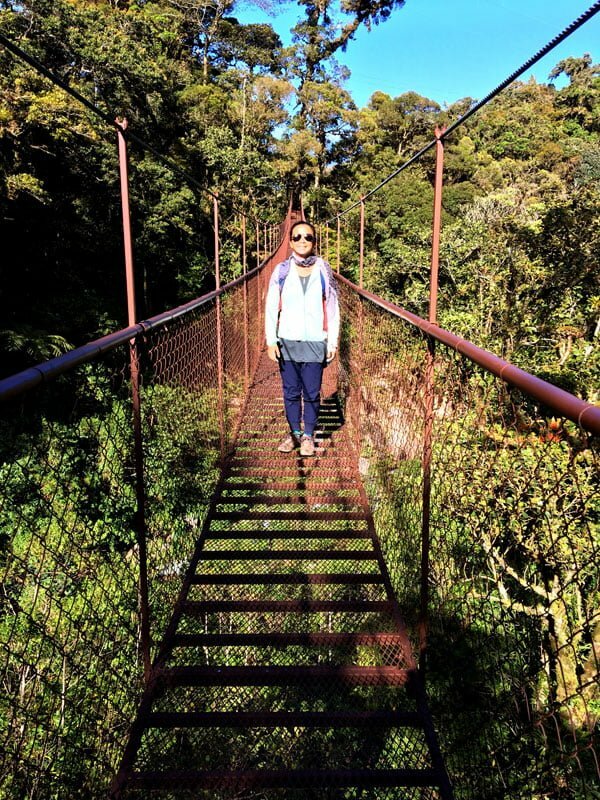 Walking across Boquete’s tree canopy with Boquete Tree Trek – I saw Quetzals and Toucans in the wild! Super cool! There are also activities that you can do outside of the school – Habla Ya works with some of their partners to offer discounts or packages along with the Spanish classes so you can earn some certifications while learning Spanish. 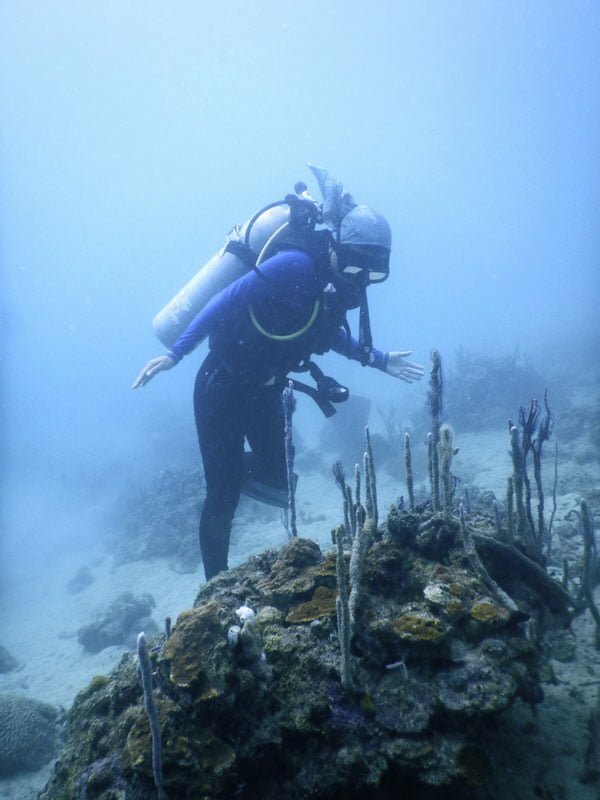 In Bocas, popular options included taking your diving certification with Bocas Dive Center or surf lessons with Monoloco Surf School. Also possible are rock climbing certification in Boquete and Yoga classes in Panama City – more on the Habla Ya website here. 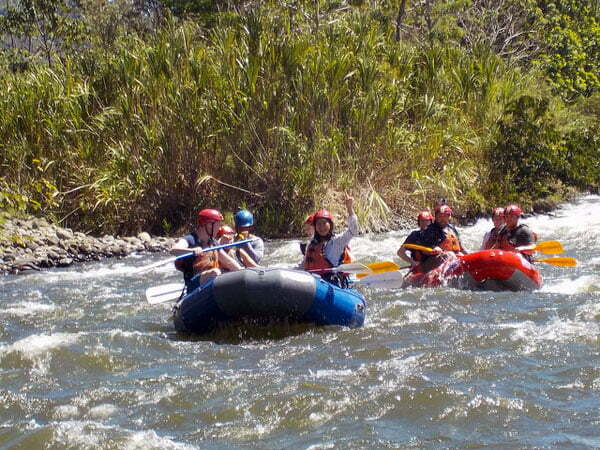 I skipped class one day to go rafting with Boquete Outdoor Adventures and it was super worth it! You do have your pick of accommodation options depending on how much you are willing to pay and what you want to experience. In Boquete I opted to do a homestay, and it really is your luck in getting assigned a good host family and whether you click with them well. You fill up quite a detailed form beforehand which lets the school best match you to a host family – it’s quite important to be specific if you have any needs or wants so the school can best allocate you. My host family had a great house which was quite modern so I was very comfortable. 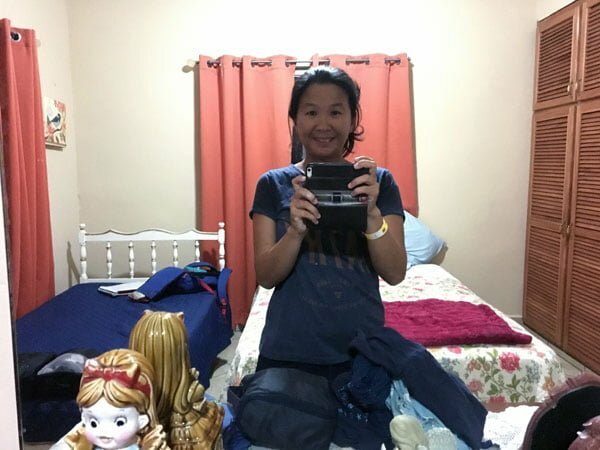 It wasn’t super convenient – in Bocas and Panama City I was 2-5 minutes by walking from school, here I was about 15-20 mins walk from town down a rather quiet path – so walking to school in the day was fine but going out at night was not very doable. Still it is the best opportunity to see how the locals might live and practice your Spanish – my family didn’t speak any English so it forced me to use all the Spanish I had for communication. 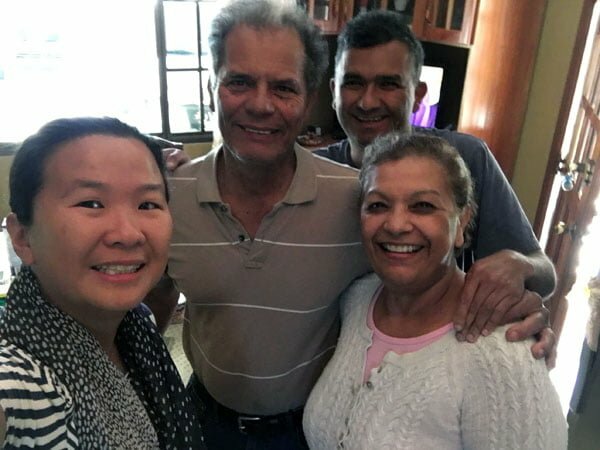 My lovely host family in Boquete. In Panama City I stayed at a hostel called Panama House, which was nice as well because I got to interact with people outside of class and school, and also because it was super conveniently located right across the road from school, so it was very convenient. For Bocas del Toro I actually stayed on the school’s campus, which was a converted classroom. Most people stay in the nearby hostels or home stays though. I really did enjoy my Spanish lessons with Habla Ya – I thought they were a pretty good school and they definitely helped polish up my Spanish – before that I had some intermittent Memrise/Duolingo app usage and whatever I picked up from muddling my way through Colombia and Ecuador in 2 months. 3 weeks of lessons will only take you so far though, the challenge comes after that in trying to use and maintain a certain level of aptitude. I was definitely more confident in speaking in Peru and Bolivia after this little stint in Panama for sure. Thanks again to Habla Ya for the opportunity to work with them – if you’d like to know anything more, drop a comment or an email and I’ll be happy to try and answer you. Habla Ya sponsored my lessons and some of the transport, tours and activities that I took part in during my 3 weeks with them. They are always looking for people to work with, so drop them a note if you are keen. How did you go about working with Habla Ya to sponsor your lessons, transport, tour, activities, etc.? 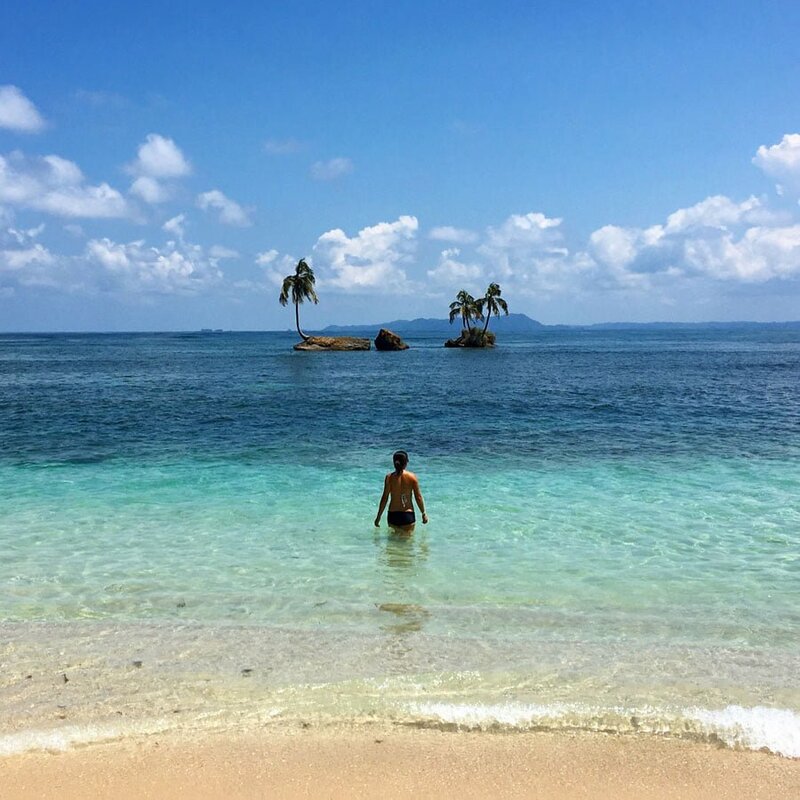 I am going to Bocas del Toro for a week in September and would love to work with them for some time if they could help sponsor some of my travel and activities. Any advice how to go about this? Thanks in advance! Feel free to email me personally if you need! This looks so interesting. I’m currently 18 years old and have been doing Spanish at A Level so are there more complex classes available? Also my boyfriend is from Panama so do they give you a bit of time to go off and explore a bit? I’m not too sure where to start with the process! Also how did you get to work as an intern? Love this blog ? Hi Alice – yes they do an entry level test to see which level you should start at – there are much higher levels available! A lot of it is up to your discretion and planning, some students were doing intense group + individual classes, while others like me were just doing group classes. You can probably plan to do classes in blocks of a few weeks at a go perhaps so you can travel in between, that way your lessons don’t get interrupted too much and you still have travel time! Talk to the Habla Ya folk they are pretty helpful! Where did you stay in Boca? How much was it? Hi Shareefah – actually I stayed on the school’s premise as I was an intern of sorts for them, but I do recommend checking out Mamallena’s Hostel because I really liked the vibe in the restaurant/bar and actually spent a lot of time there! I stayed in their hostel in other cities and they are pretty good. Hope that helps!